April 25 (6pm): Conversation on Criminal Justice Reform at DE State University, Science Center 223. Hear internationally-acclaimed Adam Foss lay out a vision for criminal justice reform and the important role of the prosecutor in ending mass incarceration. Hosted By: Network Delaware, Coalition for Smart Justice, Delaware United, the Coalition to Dismantle the New Jim Crow. April 30 (6pm-7:45pm): SDARJ Book and Film Group at the Lewes Library. From Black Lives Matter to Black Liberation, Keeanga-Yamahtta Taylor. Haymarket Books: January 2016. 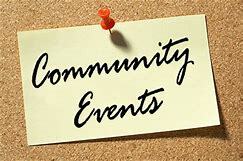 The calendar of meetings for the remainder of 2019 can be found at this link. May 14: School Board Elections!! Check the site VOTE411.org now to learn about the persons running for office in your area. May 14 (7:00 pm – 8:30 pm): Southern Delaware Alliance for Racial Justice presents their May Town Hall meeting on Delaware Criminal Code Reform with guest speaker, DE State Attorney General, Kathleen Jennings. The meeting will be held at the Trinity Faith Christian Center, 15516 New Road in Lewes. For more details about some of the issues to be discussed, go to this link. May 18, 2019 (Saturday) 6 pm Meal at the Mill, Abbot's Mill Nature Center, Milford, DE. Enjoy a flannel-formal, country-chic meal under the stars with a menu pairing by Nash’s Veggies in Lincoln, DE, Blue Water Grill in Millsboro, DE, and Dogfish Head Craft Brewery in Milton, DE. The evening will also feature an exclusive showing of Patagonia’s “Unbroken Ground” short-film highlighting the regenerative agriculture movement and live music by Delaware’s own Homestead Bluegrass Band. Register here. May 28, 2019 (6pm-7:45pm): SDARJ Book and Film Group at the Lewes Library. In the Shadow of Statues: A White Southerner Confronts History, Mitch Landrieu. Viking Press: 2018. The calendar of meetings for the remainder of 2019 can be found at this link. June 11 (7 PM): Immigration and its Impact on Families and Children at Trinity Faith Christian Center in Lewes, sponsored by SDARJ. More details to follow at this link.